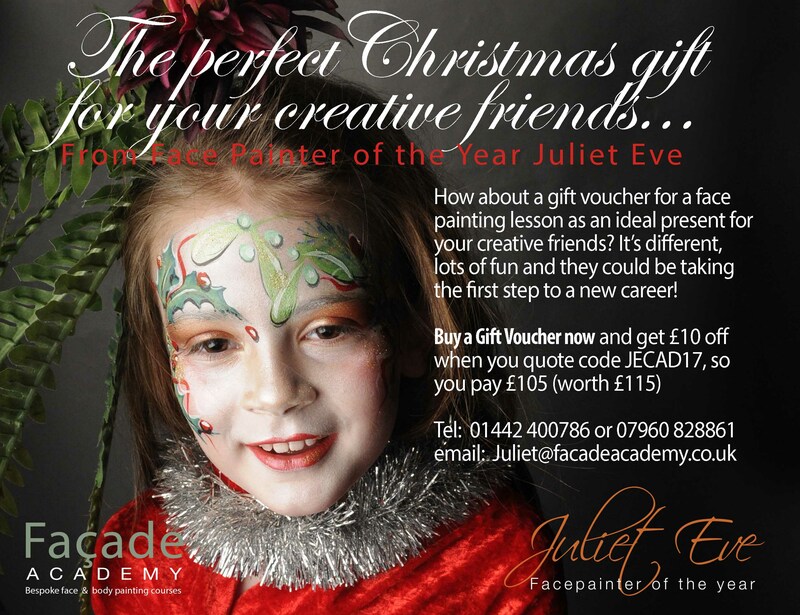 Join Façade Academy’s birthday Jam! Join us for our free ANIMAL JAM … and scones … a prize draw … and a glass of Proscecco! Façade Academy of Face & Body Art is 10 years old! And, as Principal, I’m proud to announce we’re having an Animal Jam birthday party on 16 September for our painty friends, from 10 to 6.30 at the Boxmoor Playhouse in Hemel Hempstead. So bring your painting kit and come and help us celebrate! It’s free but please do sign up quickly using this Eventbrite link because we have a limited number of tickets.